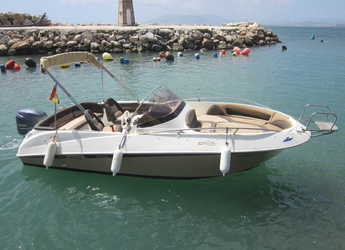 Showing 8 from 8 available Motorboats for rent in Andalusia on your selected dates. Andalusia is an area that offers a combination of breathtaking landscapes, a serene natural environment, culture, and history. Tourist destinations in Andalusia include Almería, Cordoba, Cadiz, Huelva, Granada, Jaén, Seville and Malaga, some of which have awarded the UNESCO heritage site designation. The cities and towns in Andalusia are also endowed with water bodies making boat trips, cruises, excursions, yachting and sailing a popular holiday activity in the area. 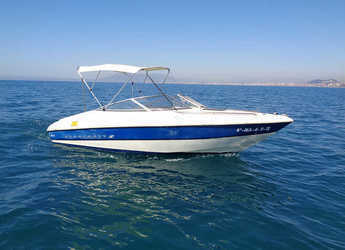 Sailboat and yacht rentals ensure that tourists with interests in sailing activities make the most of their holidays. There is a lot to see in Andalusia and tourists spend time sightseeing while holidaying in Andalusia. The notable tourist attractions include the Alhambra palace in Granada. The Generalife gardens is another notable tourist attraction in Granada. Seville also holds historic sites that attract tourists yearly: the Alcazar palace and Indies Archive are some of them. Tourists also frequent the monumental sites of Úbeda and Baeza. Cities in Andulucia also display their culture and history in festivities and cultural activities. The festival in Cadiz is one of those well-known festivals. Visits to nature parks and adventure parks are also part of the tourist activities in Andalusia. Aquavelis Water Park is one of such adventure parks that receive visitors yearly. Lovers of adventure will also find the outdoors of Andalusia very inspiring. 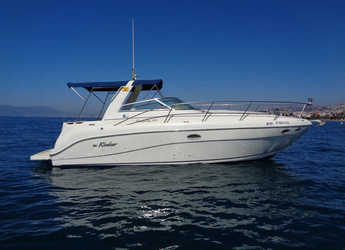 Sailing trips, cruises, and excursions can also be incorporated into holiday activities in Andalusia. Tourists can charter sailboats and yachts and enjoy a cruise, or go on an excursion, or just watch the sunset out on the sea. The cities of Andalusia offer several natural water bodies that make sailing an appealing holiday activity. In Seville, for example, a boat trip to one of the most visited natural monuments, Guadalquivir River, is part of the holiday activities of a lot of tourists. Sailboat and yacht rentals provide several ways of enjoying this trip. Tourists can undertake the trip as part of a group or charter a sailboat for a more personal experience. A tour of the aquarium is also part of the activities enjoyed on a boat trip to Guadalquivir River. Tourists can also take private yacht cruises or go on a group sightseeing trip on a yacht. Malaga is another tourist destination in Andalusia that encourages private sailing trips. An exploration of the beautiful coastline of Malaga is one of the beloved tourist activities in this region. Sailing companies and yacht rentals provide private and group sailing trips on the coastline of Malaya where tourists enjoy the serenity of the sea. A sailing trip in Malaga could also be combined with dinner on the beach or some other holiday activity. 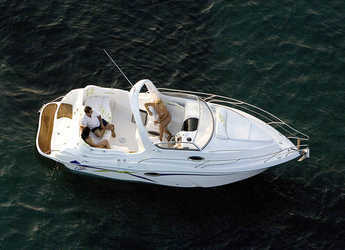 A cruise on a chartered yacht could also be combined with watersports for adventurous tourists. Family-friendly trips and excursions are also part of the holiday activities for tourists in Andalusia.